Jonah strides forth from the gaping mouth of a huge fish in this stained-glass window in St. John’s Church, Gouda, the Netherlands. Photo: Stichting Fonds Goudse Glazen, Gouda. The Book of Jonah is read in the synagogue on the afternoon of Yom Kippur, the holiest day in the Jewish calendar, the sacred Day of Atonement. Why, of all books in the Bible, this book this most holy day? The answer is clear. The major themes of the book are singularly appropriate to the occasion—sin and divine judgment, repentance and divine forgiveness. What is remarkable is that the work is not at all about Israel. The sinners and penitents and the sympathetic characters are all pagans, while the anti-hero, the one who misunderstands the true nature of the one God, is none other than the Hebrew prophet. He is the one whom God must teach a lesson in compassion. It is precisely these aspects of this sublime prophetic allegory, and in particular the subthemes of the book, that inform Yom Kippur. These motifs attracted the ancient Jewish sages and led them to select Jonah as one of the day’s two prophetic lectionaries.1 Its universalistic outlook; its definition of sin as predominantly moral sin;2 its teaching of human responsibility and accountability; its apprehension that true repentance is determined by deeds and established by transformation of character (Jonah 3:10), not by the recitation of formulas, however fervent; its emphasis on the infinite preciousness of all living things in the sight of God (Jonah 4:10–11); and, finally, its understanding of God as “compassionate and gracious, slow to anger, abounding in loving-kindness” (Jonah 4:2)—all these noble ideas of the Book of Jonah constitute the fundamentals of Judaism and the quintessence of Yom Kippur. The religion section of most bookstores includes an amazing array of Bibles. In our free eBook The Holy Bible: A Buyer’s Guide, prominent Biblical scholars Leonard Greenspoon and Harvey Minkoff expertly guide you through 21 different Bible translations (or versions) and address their content, text, style and religious orientation. “Jonah and the Whale: Why the Book of Jonah Is Read on Yom Kippur” by Nahum Sarna originally appeared in the August 1990 issue of Bible Review. It was republished in Bible History Daily on September 20, 2015. The late Nahum Sarna was professor emeritus of biblical studies at Brandeis University. He was also general editor of the Jewish Publication Society’s Torah Commentary and author of its volumes on Genesis and Exodus. James Limburg, “Jonah and the Whale: Through the Eyes of Artists,” Bible Review, August 1990. David Noel Freedman, “Jonah and the Whale: Did God Play a Dirty Trick on Jonah at the End?” Bible Review, August 1990. 1. The other is Isaiah 57:14–58:4. 2. The “evil” of Jonah 1:2 is defined as injustice in Jonah 3:8. 3. Babylonian Talmud. Shabbbat 24a, 116a. 4. Babylonian Talmud, Megillah 31a. My thanks to the late Nahum Sarta for writing this and for BAR for republishing the article on line. It is well worth contemplating and it stimulates further thought. In the OT Jonah and Job seem to resemble each other, even though one is considered among the writings and the other among the prophets. As the author of this piece indicated, they were more about non-Jews than Jews, but also about the universal relation to the Lord. And both seem to have a link to the Assyrian world. In Job, for one, it was the prominent role of camel caravans. In Jonah, it was Nineveh, a metropolis that by description seems whale-like itself. Among all the other mysteries, where is Tarshish? I looked around for references and arguments that placed it all around the Mediterranean: Carthage, Spain, and Sardinia. I’d heard most of my life the supposed Spanish connection, but never thought about the astounding breadth of that Biblical world horizon until recently. There were arguments that Phoenician tradeships of Tyre went off to lands with mines. And then that’s where the Sardinia comes in with the so-called Nora Stone dating from 9th to 7th BCE. 2 wgrš hʾ he was driven; and he drove them out. 8 lpmy To (god) Pmy. of (king) Pummay. 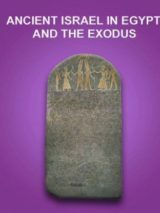 There are Semitic Language scholars in this gathering that can do better analysis of the original and the two versions of the Nora Stone text than I can, for sure. But it should also be noted that there is such a thing as “Phoenician”. Archeological and perhaps even Biblical. Sometimes I meet people disturbed by events of the present day and they feel as though they can see clearly what’s on the calendar for all the present day Babylons and Ninevehs. Whether they sailed for Tarshish or spent time within big fish or whales I do not know, but it might help sometimes to reflect on the career of Jonah. Sorry the author has passed on. Would love to discuss it with him. As for “…the one who misunderstands the true nature of the one God, is none other than the Hebrew prophet” [Jonah]. This should not be so surprising, after all part of the reason Jesus came was because most of the spiritual leaders of Israel had the wrong picture of God & this helped them totally miss the truth that “He was not willing that any should perish” but that He wanted even the Gentiles to be saved! By misunderstanding God, their understanding of sin became distorted too. The author said they came to see sin as “predominantly moral sin”. According to God’s moral law…the 10 Commandments…all sin is the breaking of His moral law! There is no sin that is not the result of breaking God’s moral law! As for the book of Jonah being a “prophetic allegory”, perhaps Jesus didn’t know this because it is obvious that He believed the book to be a true accounting of one of God’s prophets that needed to be ‘straightened out’ about the God he served so he could then help straighten out the people he was sent to see, and eventually, through his story, untold numbers of readers and Bible students could be straightened out and receive His [God’s] salvation!! Jesus also believed and taught that the book of Daniel was true! But if it’s not, then perhaps this is why most Rabbis, down through history, don’t like their people studying certain parts of the book. I have to disagree with nissarudden. the Quran is NOT the final revelation as it contradicts the Holy Scripture and God’s anointed prophets. Mashiyach ( the 7 Spirits of God in its fullness) is foretold from Genesis Right through to revelations. The Begotten son of God, Yeshua was filled and anointed with These 7 spirits of God in its fullness. Mohammod was not. Therefore the Quran is no revelation but the product of one man’s vanity. A prophet is made mention of in Deuteronomy who is to be followed when he comes, and he’s spoken of as the desire of all. They were still looking for his appearance during the lifetime of John the Baptist, who was asked if he was “that” prophet, and Jesus. Jesus said that one would come after him that would lead the people into all truth, and speak of him. People need to read in the name of their LORD Who created, then their comments will be more intelligently worded and perceived. In the Bible in Arabic ALLAH is the name used for the Creator, and interchanged by Jesus using the word “Father” and “God”, and He’s the One Whom Jesus submitted his will to. Jesus makes it clear that the righteous people are to be one in the only true “God” just as he is one in Him, via their being one in Jesus, and Jesus being one in “God”. That’s not baby language that Jesus is using there. god did not dictate but showed how to live ..
Greetings to all, The Holy Quran [Final revelation superseding past partial revelations] also mentions story of Jonah the Prophet of Great God Allah. How Jonah disobeyed divine commandments and left his misson,and got consumed by a big fish[incidentially such big fishes are existing even now-in india a place called machlipatnam,recently a big fish weighing 15 tonnes was washed ashore,this news came in papers also].Finally Jonah cried out from the bowels of the fish as follows, ‘There is no God save thee,Glory be to thee,verily i have been a wrong doer’.And so God took pity on Jonah and forgave him and inspired the fish to throw him out and caused a tree to grow providing him shelter.Jonah recovered and completed his Misson and called his people to Monotheism [Worship of One God] and they reformed and God gave them fresh lease of life and living.This fact stands out in a distinct class as Prophet Jonah appears to have succeeded in convincing his people to Reform, and they reformed en-masse. How interesting!!! God Almighty knows our future and he is the one who dictates the pace. We either like it or not ,God sees where we are heading and He will change the course. The world is on His hands and He is the Captain of the ship. We have it coming for being evil here on earth. God is good!!!! First, the title was what most people think of as the story. The subhead indicated big fish. Second, one interpretation that Prof Sarna did not bring out was why Jonah was so reluctant to prophecy to Ninevah. As a prophet, he knew that Ninevah would repent (some say the king was actually Pharoah who knew just what would happen if they didn’t). He also knew this would be used against Israel when they didn’t repent, and he didn’t want to participate in Israel’s exile. Mervyn has it with the turn-off day. Like thinking outside an envelope. Like having the first tasty meal after surgery. Would it be that this could happen more often; however commercial interests are wont to give us that freedom. Dunno, Mervyn. Jonah was a prophet, so we may assume that he had previous contact with God. That’s how that works, you see. Jonah the son of Amitai was one of the greatest prophets during the time of Jeroboam II. As a prophet disciple, he had anointed Jehu. Johah had no contact with God until he was swallowed by the special fish. Only then, and not straight away, did he call on God. He found that he could not talk to God in the busy world: only when he was switched off could he make contact. Yom Kippur is the one day a year when we can make contact with God because we are completely switched off from the world, We spend the evening and then the whole of the next day in synagogues with no diversions for trifles like eating or drinking, TV or emails etc. That is one of the messages of the Book of Jonah. For all its brevity (about three pages), the Book of Jonah is one of the most complex in the Hebrew Bible. For a truly profound commentary on it, I refer the reader to Andre Lacocque and Pierre-Emmanuel Lacocque, The Jonah Complex (1981), the one a biblical scholar, the other a psychologist. As Seymour notes, there is a deep psychological aspect here, with Jonah still contrary to the end. And as Nahum Sarna states in the article, there is an inversion of roles. 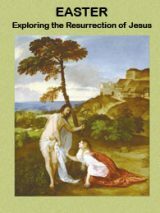 Indeed, the Lacocques’ analysis points out numerous reversals, from Jonah’s expectations to the reader’s expectations. And yet there is some humor in the story. Not only does everyone in Nineveh repent, but so do the herds and the flocks, which all wear ashes and sackcloth for the 40 day period. And then there is the far less than enthusiastic proclamation by Jonah after walking three days from the gate of Nineveh to its center (more humorous exaggeration). Jonah delivers a one-liner. He does not want to say anything at all, but he has promised YHWH that he would. But despite his best efforts to comply with his promise only to the letter and not the spirit of the warning, word spreads almost instantly throughout the city, and everyone and every thing believes that they have heard the word of god. One, it’s not a whale. Dag gadol is a big fish and whales are not fish. Two, there is one other reason why Jonah is read on Yom Kippur afternoon. Chapter four which is highly enigmatic illustrates both the deep concern that God has for Jonah’s situation (illness – manic depression) and His willingness to act as therapist towards a possible cure. By that time on Yom Kippur we all need to know God as therapist and friend, not only King and father. Why Did the Law Require Sacrifices? “The soul of the flesh is in the blood, and I myself have put it upon the altar for you to make atonement for your souls.”—LEVITICUS 17:11. GOD made provision for individuals and for the nation as a whole to atone for their sins by means of sacrifices, or offerings. According to the Law, anyone committing a sin had to rectify the wrong and then present to Jehovah an appropriate offering. Various sins required specific offerings, and these provided a measure of relief from guilt.—Leviticus 5:5-7. On one day each year—Yom Kippur—the high priest entered the Most Holy of the temple with the blood of sacrifices made for his own sins and for those of the people. (Leviticus 16:11, 14, 15) This and the other ceremonies on that day gave everyone a feeling of relief from the accumulated burden of guilt for all the past year’s sins. Without pouring out the blood of the sacrificial animal, no forgiveness could take place “because it is the blood that makes atonement.”—Leviticus 16:30; 17:11. Why does God not just forgive us outright? Jehovah is willing to forgive “in a large way.” (Isaiah 55:7) But he will never rescind his moral laws. Since God respects his own perfect standards, he cannot simply ignore our imperfections and sins. “The Rock, perfect is his activity, for all his ways are justice. A God of faithfulness, with whom there is no injustice; righteous and upright is he.”—Deuteronomy 32:4. Ask yourself: ‘What would happen to society if the authorities just pardoned all criminals and released them from jail? What would happen to the entire universe if God suddenly rescinded his physical laws, such as the law of gravity?’ His moral laws are equally important.